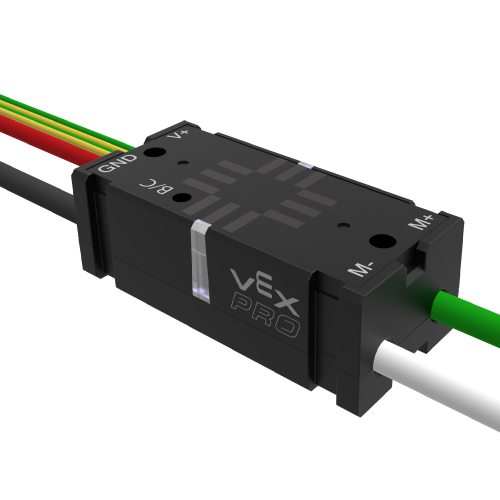 Heavily based off customer feedback, this year's new VEXpro products provide accessibility for smaller robots, while also giving you more flexibility in your designs. We're not just creating products for you to use on your robot, we're creating products that we want to use on our own. The Victor 883 motor controller was the first product Innovation First ever created back in 1999. Now, nearly 20 years later, we’re releasing the Victor SPX, the 5th generation of Victor motor controller designed for FIRST® Robotics Competition teams. 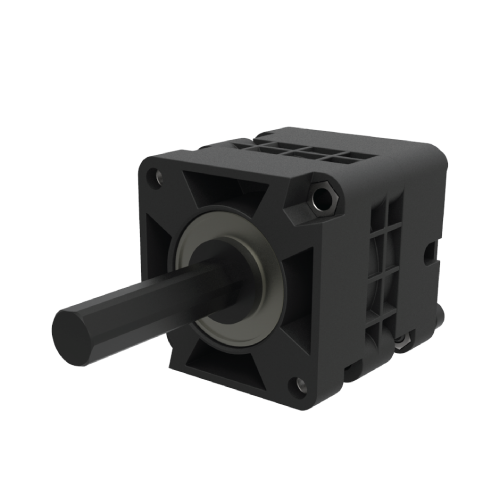 In addition to PWM, the Victor SPX now supports CAN, and is the lightest and smallest motor controller in FRC history. Sometimes a VersaPlanetary is just too long - especially by the time you add an encoder slice and a ratchet slice. The VersaPlanetary 180° Drive Kit fixes this by "folding" the motor back on the VersaPlanetary Gearbox. This makes it even easier to fit a VersaPlanetary on your next FIRST® Robotics Competition intake or FIRST® Tech Challenge drivetrain. Ratchet wrenches should be used to build your robot, not built into them. Make backdriving gearboxes a thing of the past with the VersaPlanetary Ratchet Slice. This simple add-on slice allows you to make any VersaPlanetary gearbox drive in only one direction. Perfect for hangers and other one-way mechanisms. 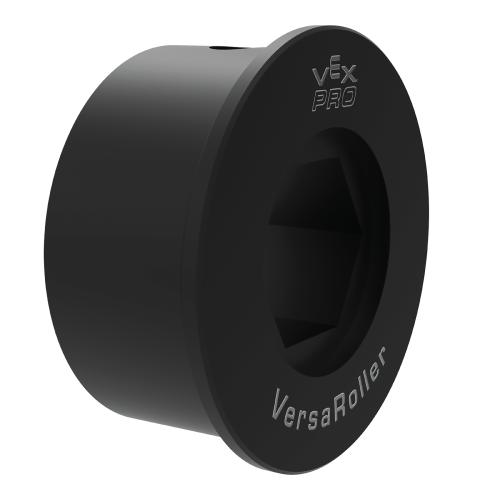 The VersaRoller system allows you to make almost any kind of roller in any length they can imagine with basic tools they have in their shop. The possibilities are almost endless! Tubes and hubs come high-strength aluminum or lightweight plastic, giving you the ability to add strength or remove weight where needed. The VersaPlanetary Lite takes everything you know and love about the VersaPlanetary Gearbox, and puts it into a lightweight plastic form factor. The VersaPlanetary Lite is perfect for FTC, and any low-stress FRC application. Synchronous timing belts are lighter and can be more efficient than chain. Once set up, they require no tensioning or adjustment. These GT2 timing belts are intended for lower load applications such as the first reduction in a gearbox, or motor to flywheel. GT2 belts use a smaller pitch than HTD belts, which means you can use larger reductions in those tight fit areas of your robot. 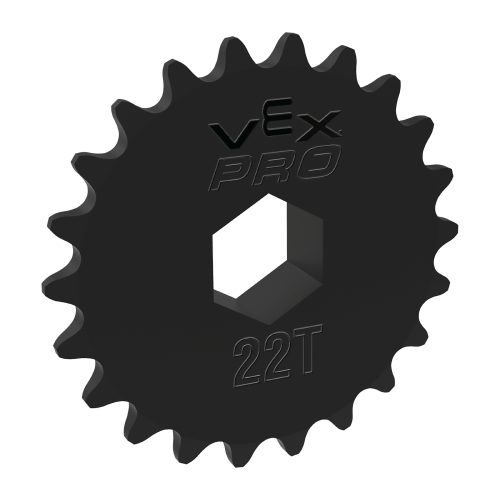 VEXpro 32 DP gears allow for gear reductions in tight areas of your robot. 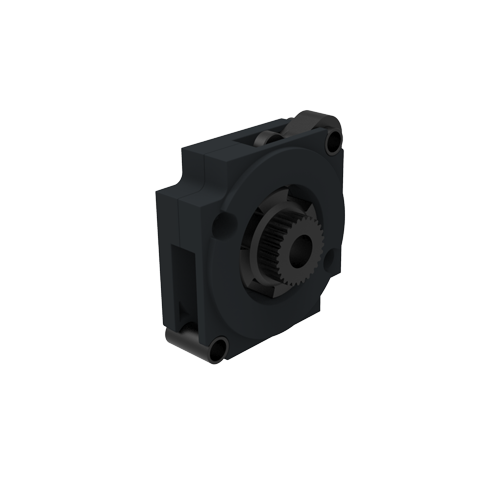 Motor gears are sized to fit 775 series and CIM motors, while spur gears use a 3/8" hex shaft. 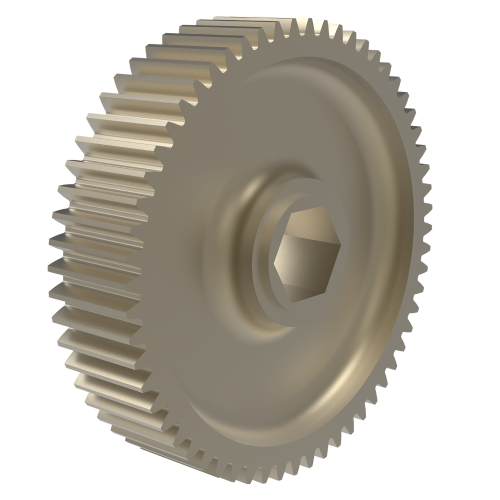 These gears are pocketed to reduce weight, and are great for lighter-load applications and smaller robots. For those times when a #35 aluminum sprocket just isn't quite strong enough, we now offer steel versions of all of our #35 hub sprockets. 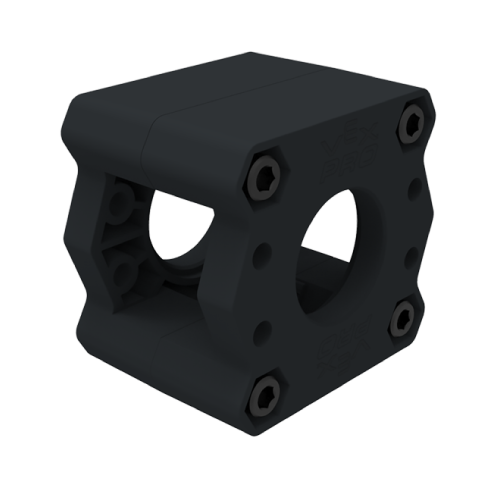 For FTC teams we now also offer all of our #25 hub sprockets with a 3/8“ hex bore. 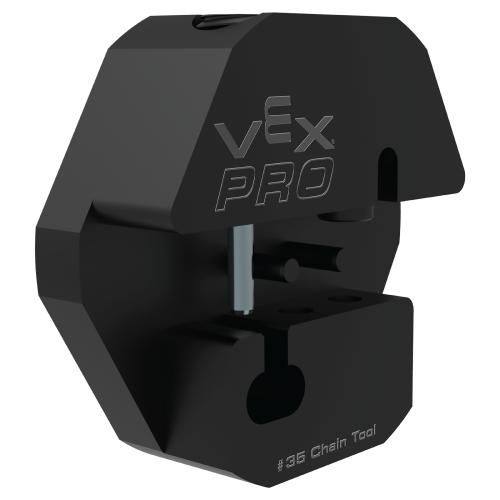 There are all kinds of chain tools out there that teams can use to break chain, but in the spirit of VEXpro, we wanted to make something that was made specifically for FIRST teams. So, we made our own improved version of the Dark Soul chain break for #25 chain. This makes it easy to break and assemble #25 chain. It’s also sized so you can assemble chain in place on your robot. We didn’t stop there either. Sometimes #25 chain just doesn’t cut it and you need to go bigger and use #35 chain. That’s why we created a chain break for #35 chain. All the same features as before, but sized for #35 chain. This product was created thanks to feedback from the FRC community. After releasing the Mag Encoder a few years ago, we received a ton of positive feedback. However, we also learned there was not an easy way to actually mount the mag encoder to a ball shifter. This mount is compatible with any existing VEXpro Ball Shifter, so there’s no need to modify any of the Ball Shifters that you already own. Now you can easily add a Mag Encoder to your ball shifter, and it only takes a few minutes to install. Sometimes you really want to use a pulley or gear with a 1/2“ hex bore, but you don’t want to use 1/2“ hex shaft. 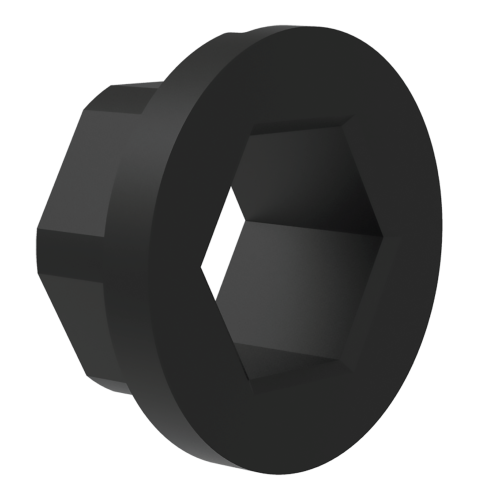 VersaHex adapters solve this problem by turning any standard 1/2" Hex shaft into a 3/8" Hex, Square, or D shaft. Each adapter also comes in eighth-inch and quarter-inch lengths - to apply to a variety of needs. You can mix and match these depending on the width of the product. 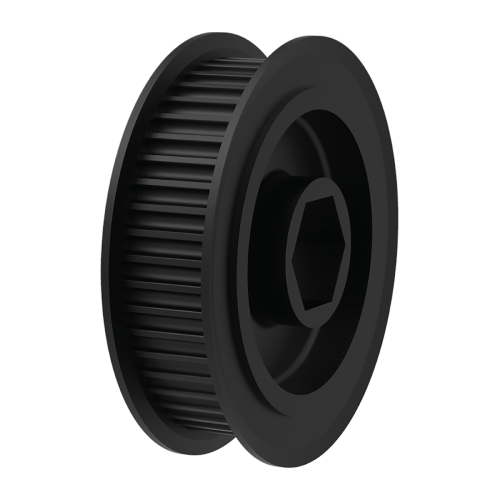 This means that you can run a GT2 pulley on a 3/8" hex shaft, a VEXpro hub sprocket on a VEX EDR High Strength Shaft or a VEXpro 20DP gear on a 6mm D Shaft. The VersaBlock Mini is a smaller version of the original VersaBlock Kit. 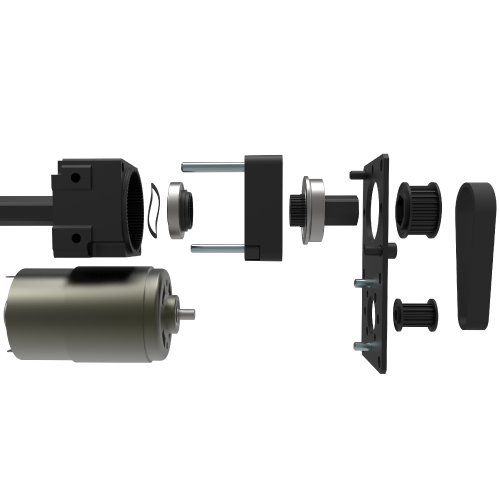 This miniature version uses ⅞” OD bearings, and clamps around a 1” x 1” VersaChassis tube. The best part? It can be placed anywhere on the tube, not just in a specific pre-milled slot. VersaBlock and VersaChassis tubes were designed and toleranced together so that the tube itself aligns the block, which is what makes the system so versatile. 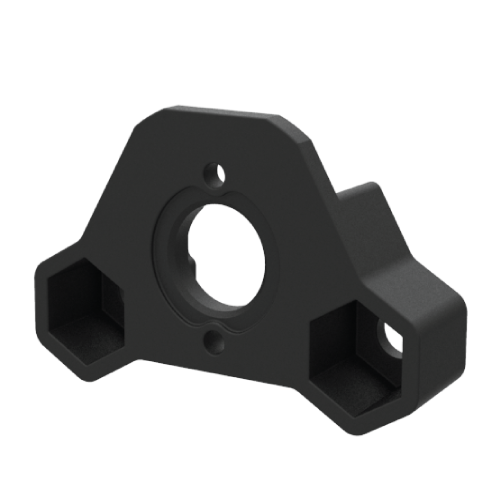 You can also use the VersaBlock Mini in tandem with our new 1" x 1" plastic VersaFrame tubing. This means that if you’re an FTC team, you can use these to make your drivetrains even smaller and lighter! It’s really hard to make the right length VersaPlanetary output shaft for every possible application. So instead, we made the Universal Female Output shaft. 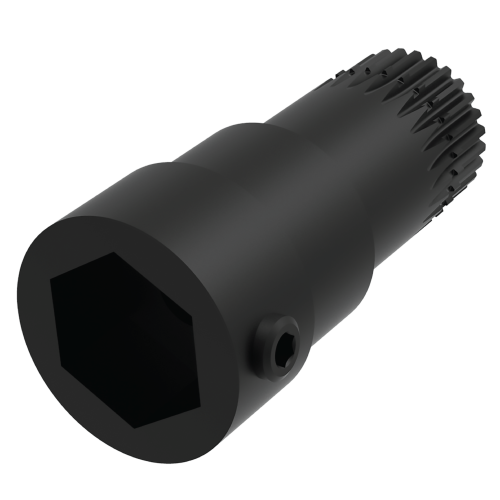 This gives the VersaPlanetary a female output, which allows you to make an output shaft of whatever size you need. Each kit also comes with three different adapters. One for 1/2" hex, one for 3/8" inch hex and one for 1/4" square - an added bonus for FTC teams. This means you can easily use a VersaPlanetary to drive any VEX EDR high strength shaft, gear, or wheel.